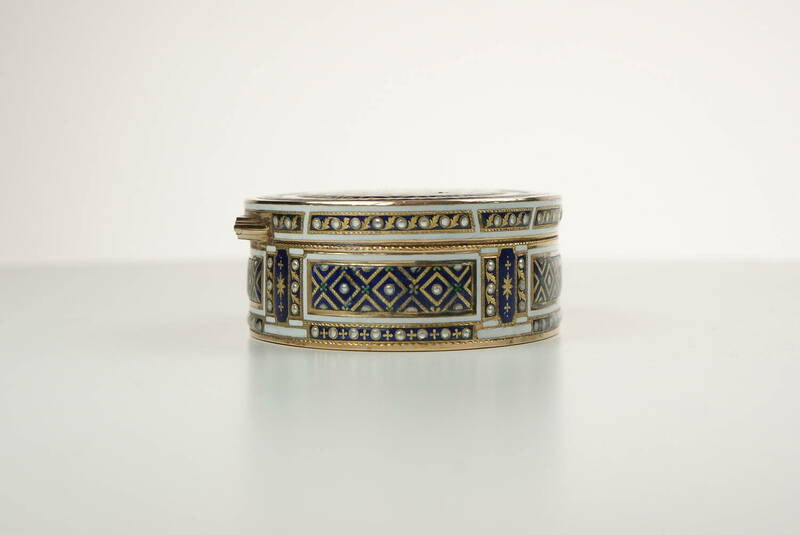 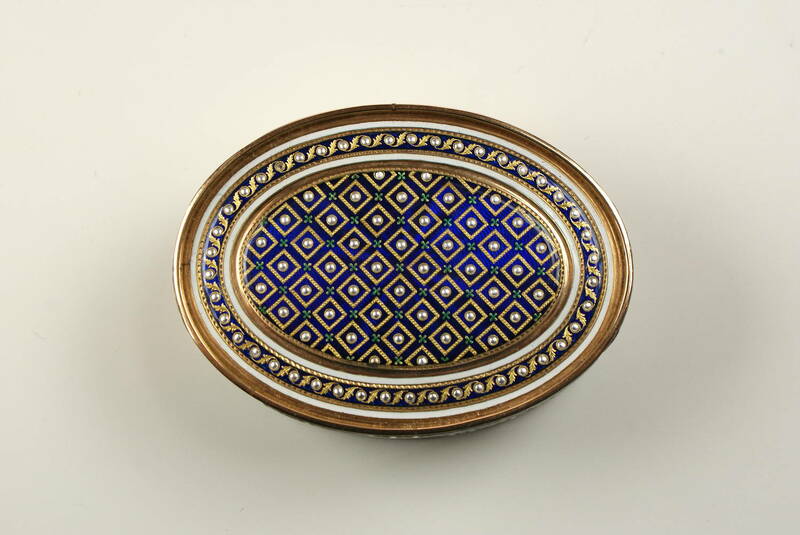 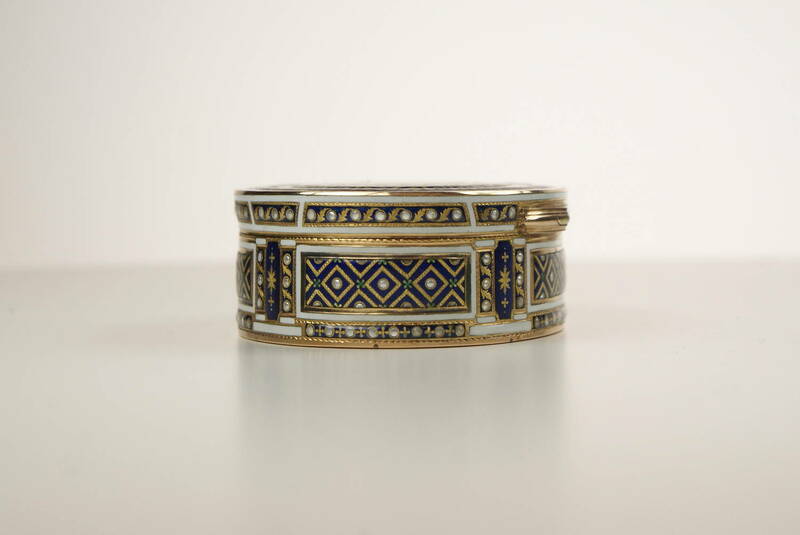 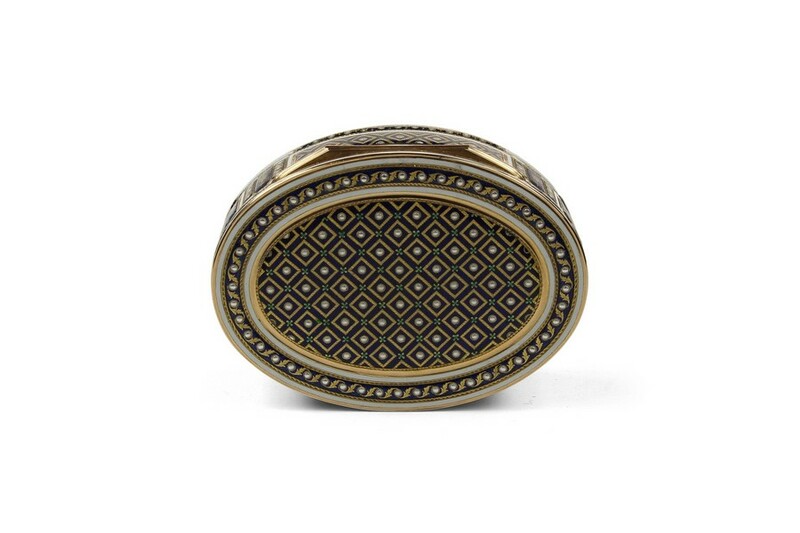 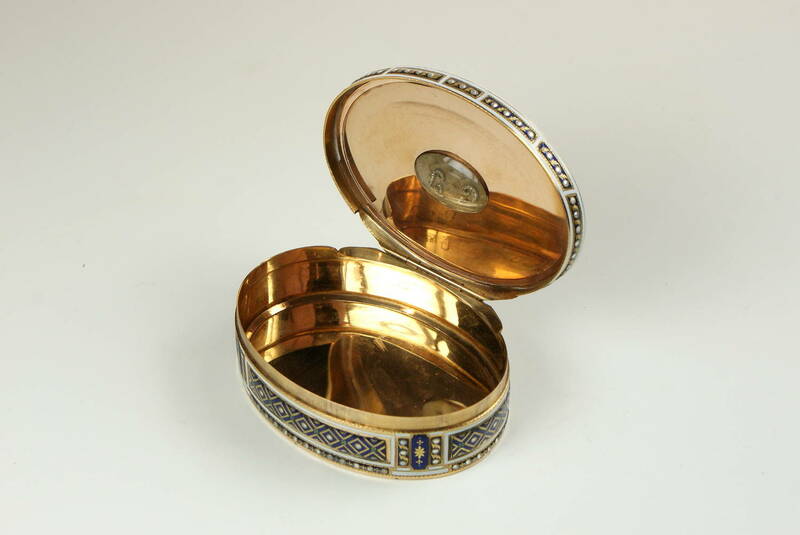 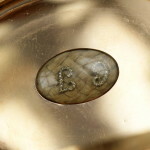 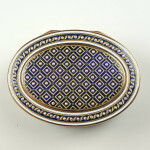 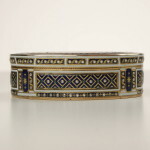 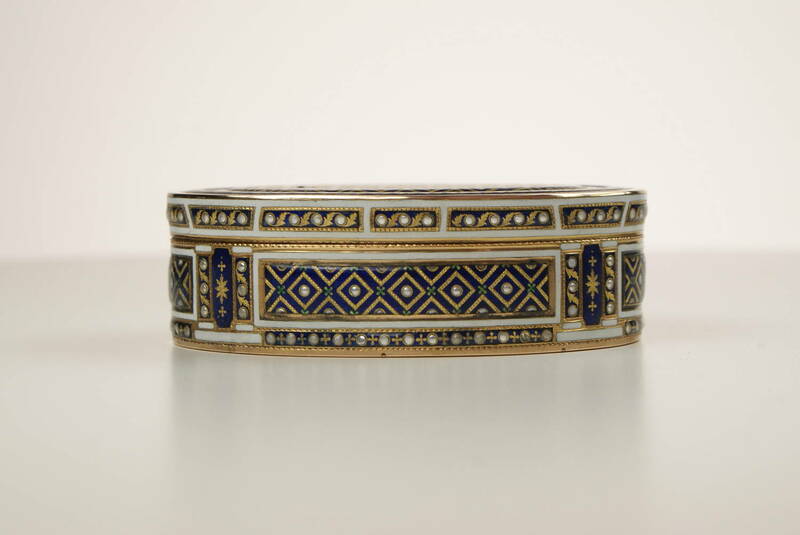 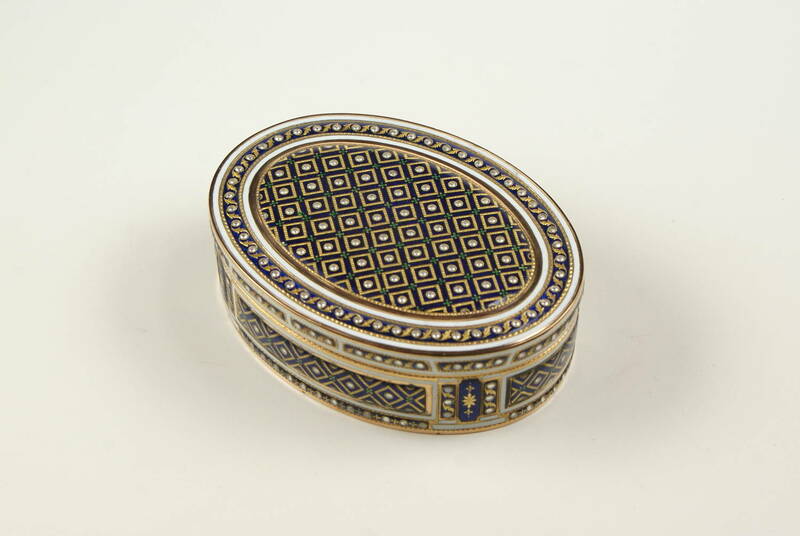 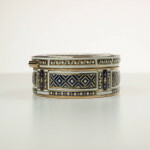 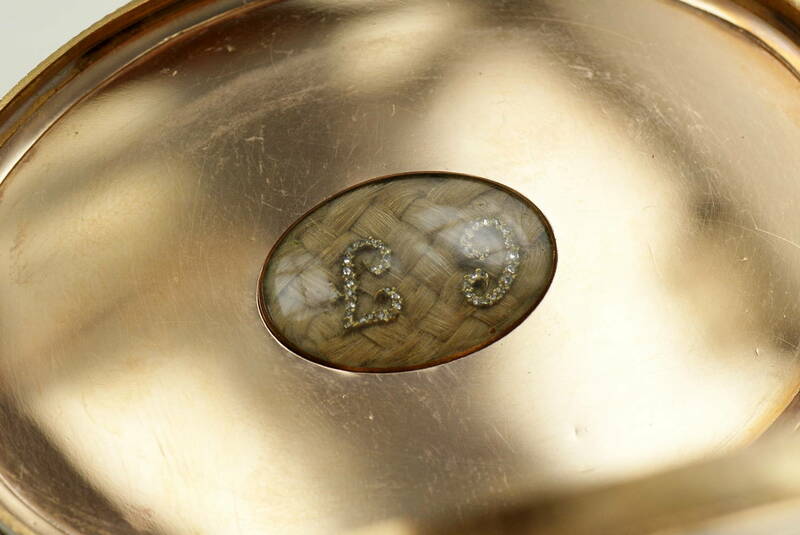 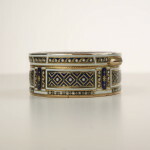 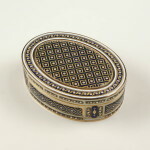 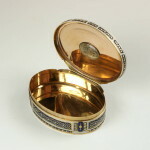 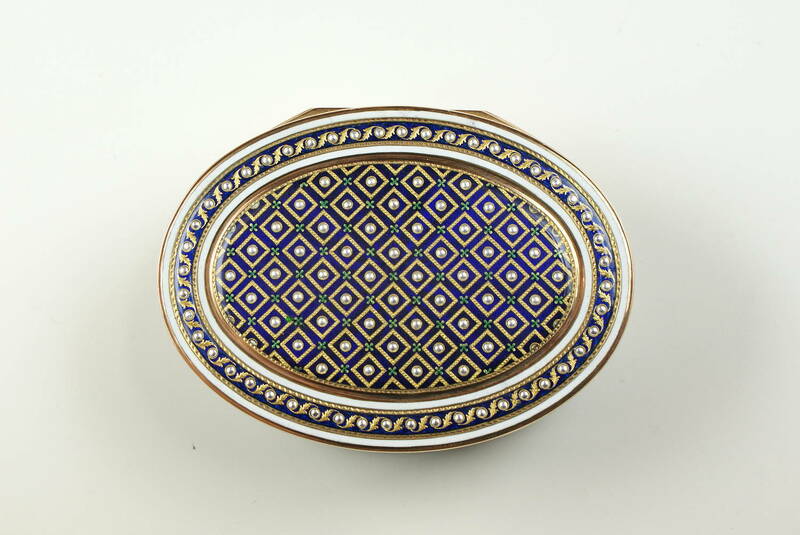 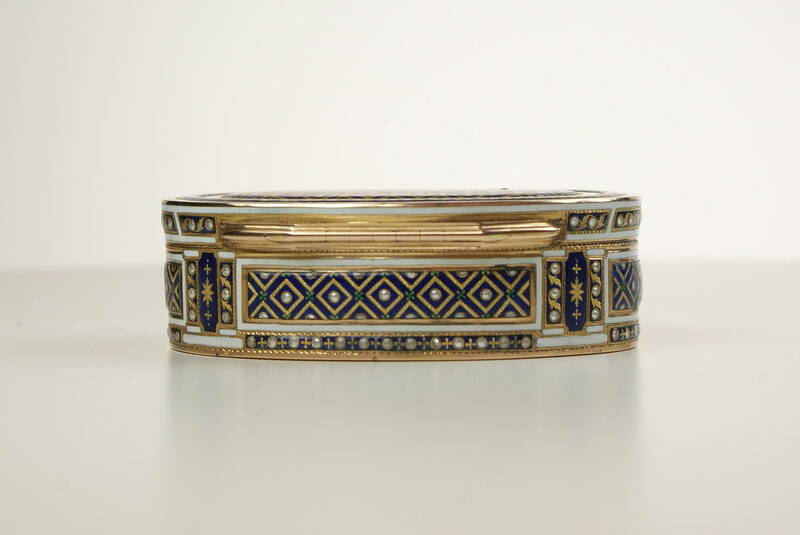 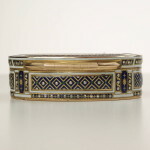 Fine 18th century gold and enamel snuff box. 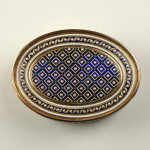 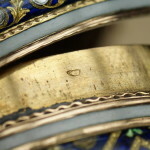 Oval lid, sides and base handled with a trellis of Paillons enclosing simulated pearls within interlace orders all on a translucent blue enamel ground within opaque white band orders the interior of the lid with the commemoratives glazed plaited hair panel applied with the initials CF charge and discharge marks of JF Kalendrin.by Augustin Andre Heguin Paris 1788. 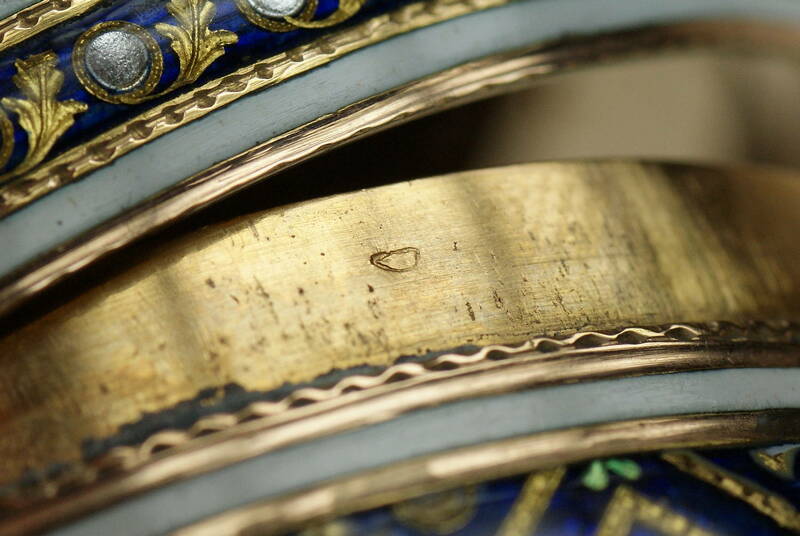 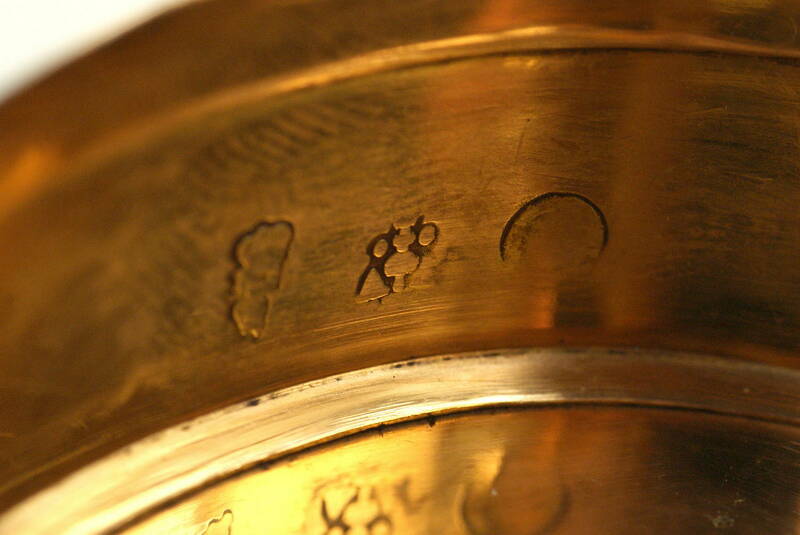 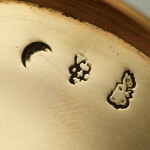 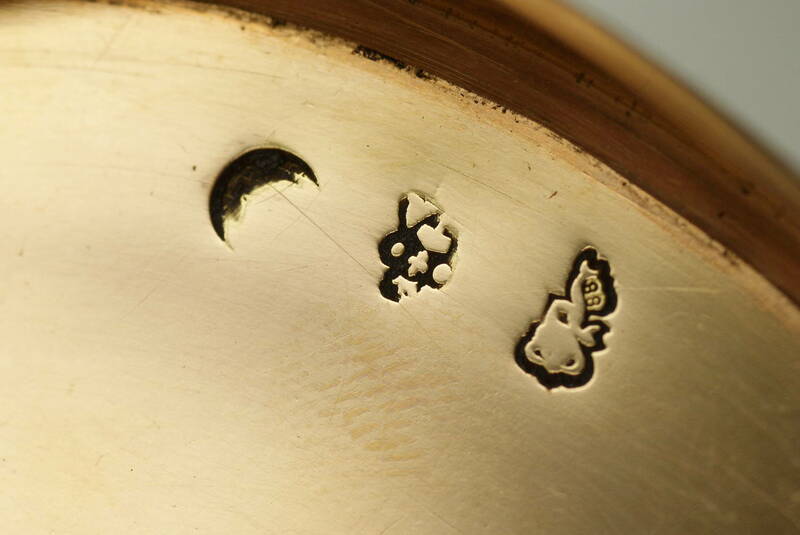 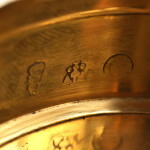 Manuscript catalogue of miniatures and objects of art n,d.p.5 has been projected that this is the hair of Kitty Fisher crew collection.